Product categories of Fashion Rugged Phone, we are specialized manufacturers from China, Fashion Rugged Phone, Stylish Rugged Phone suppliers/factory, wholesale high-quality products of Fashion Outdoor Rugged Phone R & D and manufacturing, we have the perfect after-sales service and technical support. Look forward to your cooperation! Faction rugged phone is designed with cutting-edge outlook, a perfect combination of toughness, durable, aggressiveness,can as young man fashionable rugged phone,business tough stylish mobile phone,12mm thin rugged cell phone. The Fashion Rugged Phone is built with aluminum and magnesium body structure, certified shock-proof and Topped with Corning Gorilla Glass 4. 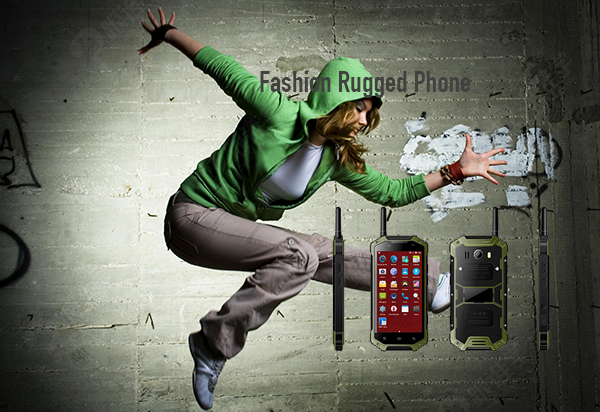 Meanwhile, the Fashion Rugged Phone is certified with highest IP68 standard, perfectly work on extreme environment.The fashion rugged phones are both stylish and tough and the Fashion Rugged Phone now has three colors, which is in active Orange, stylish black and light green.